The continued decline of diesel market share and the increased provision of total corporate mobility will be two of the key fleet trends for the year ahead. 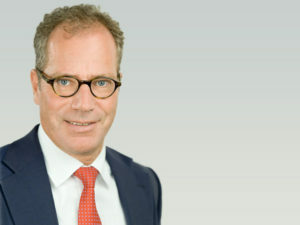 So said Dr Jörg Löffler, CEO of Fleet Logistics, as he warned that the alternative to diesel is far from straightforward. “Gasoline cars burn more fuel and therefore emit more CO2, while hybrid vehicles are fine in an urban environment but out on the open road are far from fuel-efficient and offer no discernible advantage at all. Getting the right fleet mix of vehicles will become increasingly important going forward, and we urge most major corporates to discuss the situation in detail with their fleet management provider to arrive at the optimum solution,” said Dr Löffler. Fleet Logistics also believes that the issue of total corporate mobility will become increasingly important in the near future as many companies examine their total transport and mobility needs and expand this beyond the provision of company cars, while 2018 will also bring continued growth in recharging points. Looking ahead to the company’s own plans, Fleet Logistics also said 2018 would see a year of consolidation following concentrated work on improvements in IT systems, processes and organisational structure during 2017 as well as expansion into a number of new countries within existing areas of operations. However, one of Fleet Logistics’ key initiatives for 2018 will be the creation of an innovation board with interested fleet customers to discuss the latest trends in the fleet marketplace and identify possible solutions. The first event will be held this spring at a venue in the north of Germany.